On March 7, Dr. Grammelis and Mr. Kourkoumpas participated in the technical seminar organized by CERTH for the project LIFE15 Green Link. 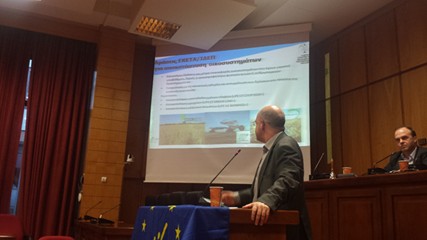 Dr. Grammelis took the opportunity to briefly present the objectives and the expected results of the project LIFE BIOMASS C+. In the end of the technical seminar, they discussed with the Mayor of Amyntaion about the project and which dissemination activities should be taken place in the area in the future.